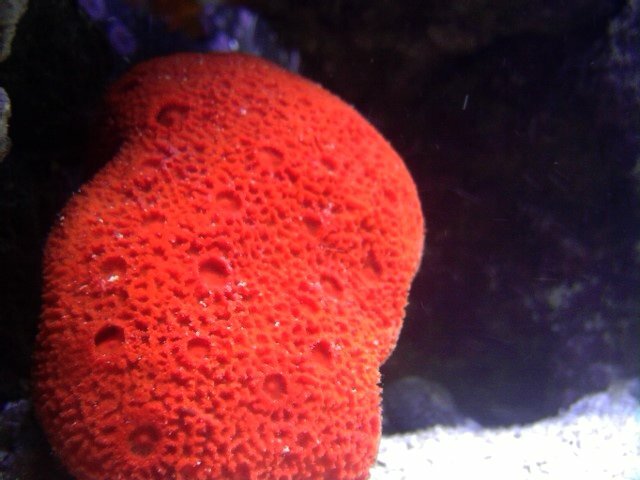 Here you'll find our great selection of live marine sponges. These pieces will add interest to any reef tank. 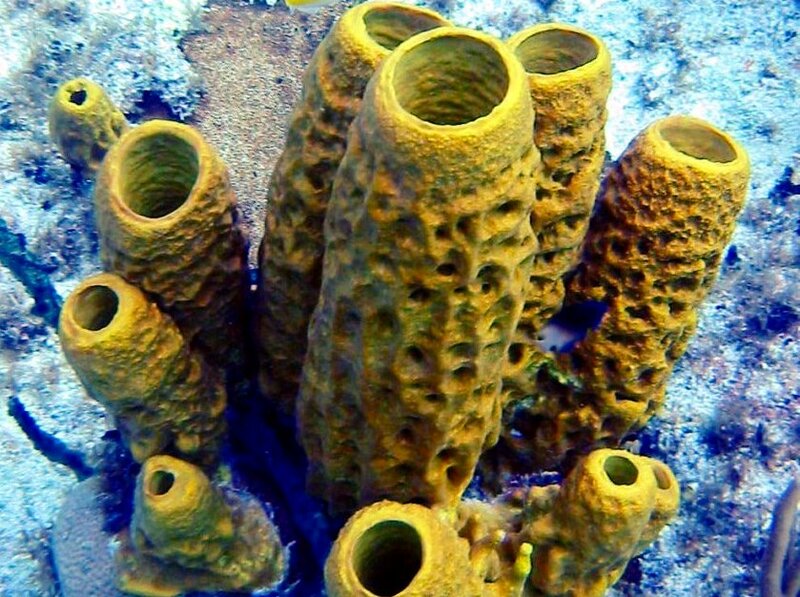 When acclimating a sponge it is imperative that it not be exposed to the air, as air bubbles will become trapped in the internal pathways and the sponge will starve. 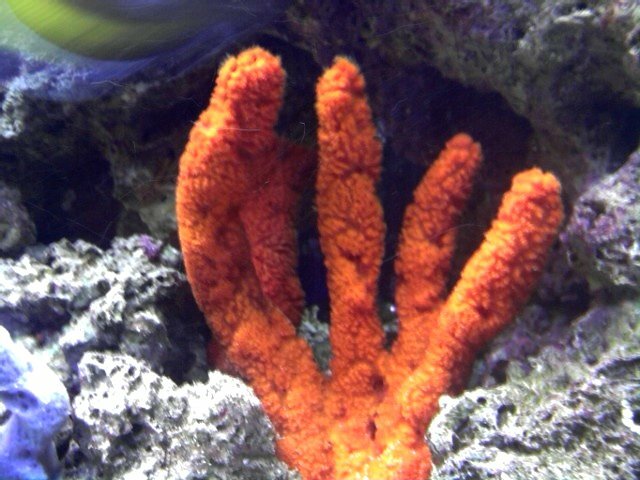 Sponges are non photosynthetic filter feeders so they should be placed in low light and medium to strong current. Frequent feedings of any food suitable for filter feeders are required. Just call or email to order and arrange pickup! Peaceful filter feeder that makes a great addition to any reef aquarium. 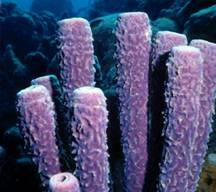 Like any other sponge it requires minimal lighting and swift current to survive. It must never be exposed to the air! Best placement would be under some kind of overhang in your live rock. Peaceful filter feeder that makes a great addition to any reef aquarium. 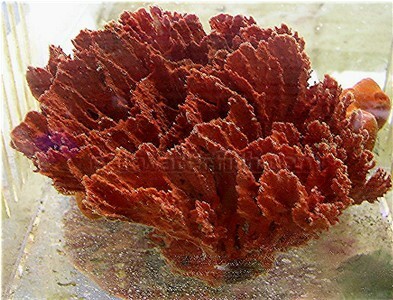 Like any other sponge it requires minimal lighting and swift current to survive. It must never be exposed to the air! 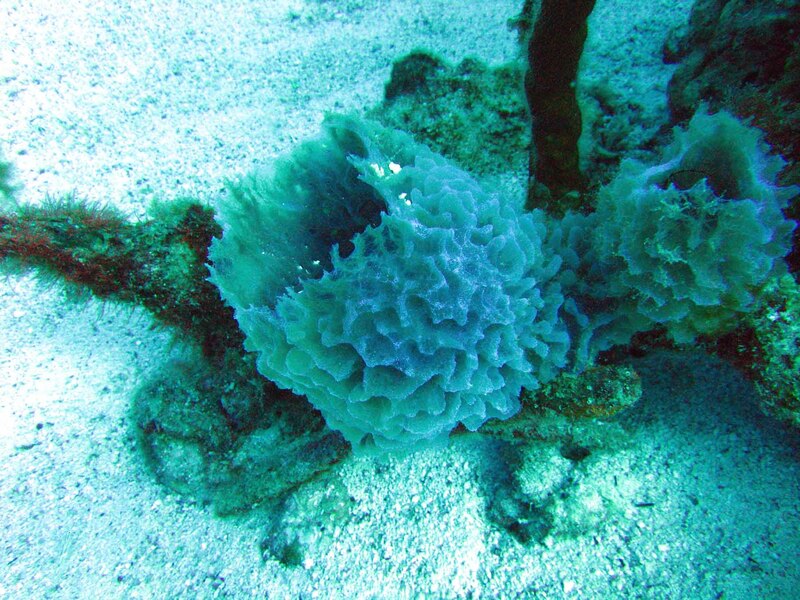 This is an anusual sponge that forms a sybiotic relationship with a colony polyp not unlike zoanthus sp.